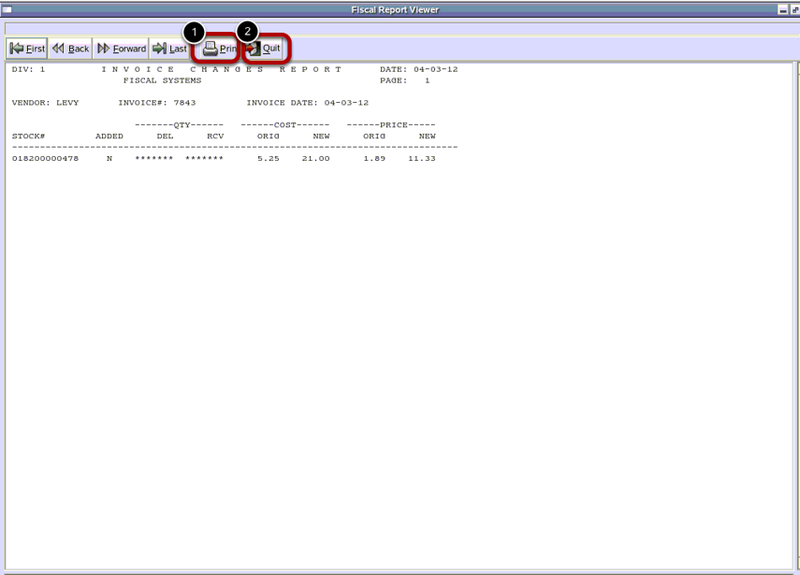 TravStar1 Point Of Sale SystemManager's Work Station Inventory ControlHow Do I Receive a Vendor Invoice Manually? 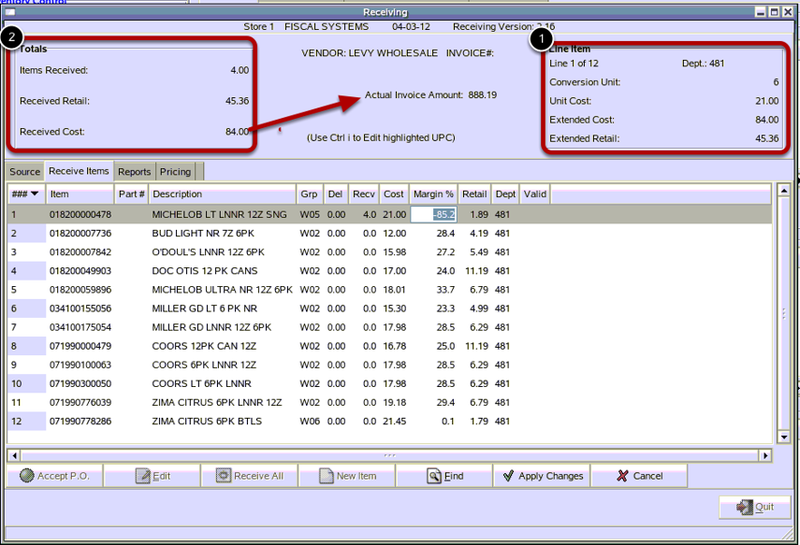 How Do I Receive a Vendor Invoice Manually? 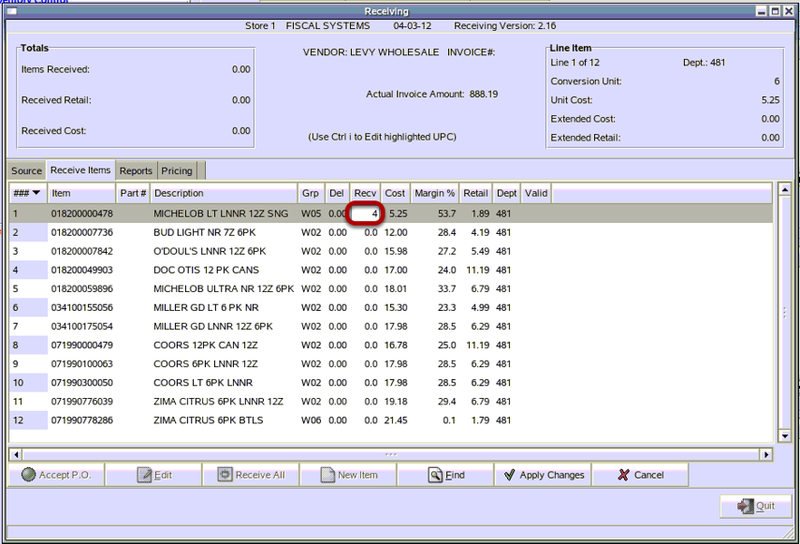 This lesson will teach you how to receive items into the store by setting up an invoice for a vendor manually. 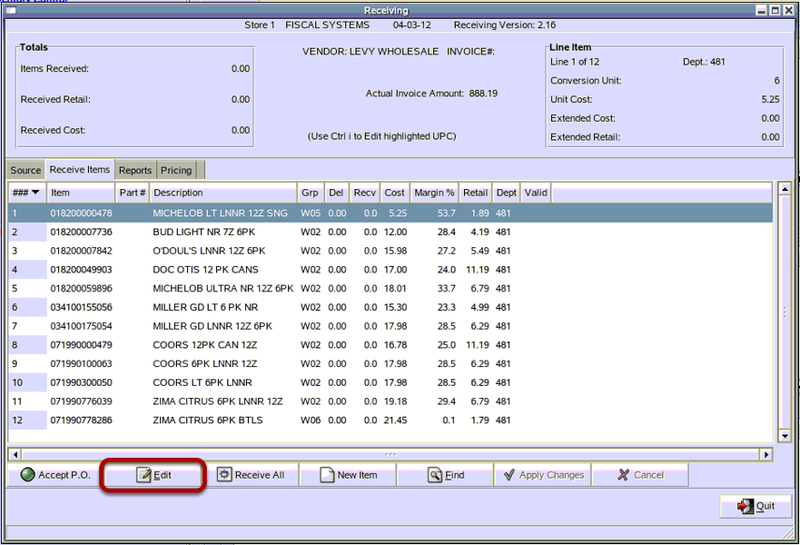 Under Source, locate the Vendor you wish to receive from. 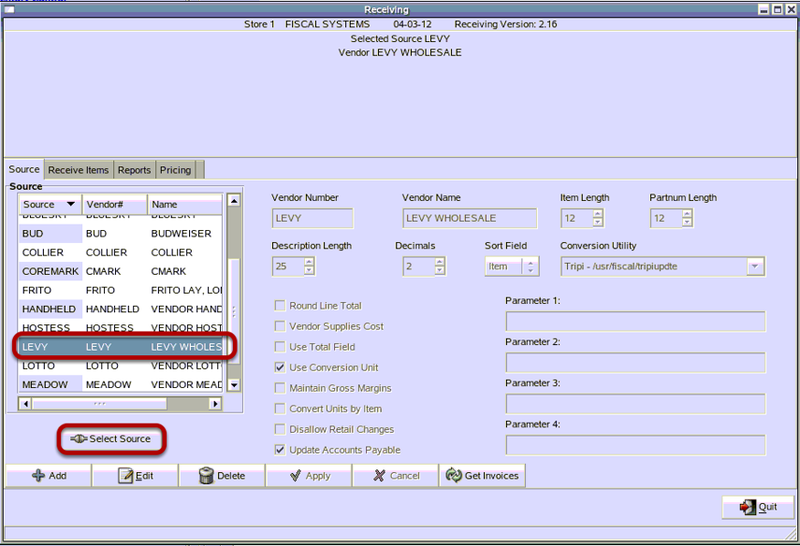 For this example, we will use LEVY. 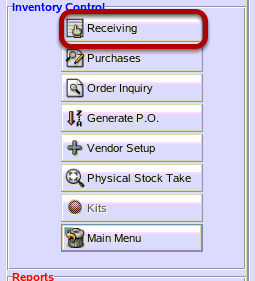 You can use the scroll bar to view further down your vendor list. 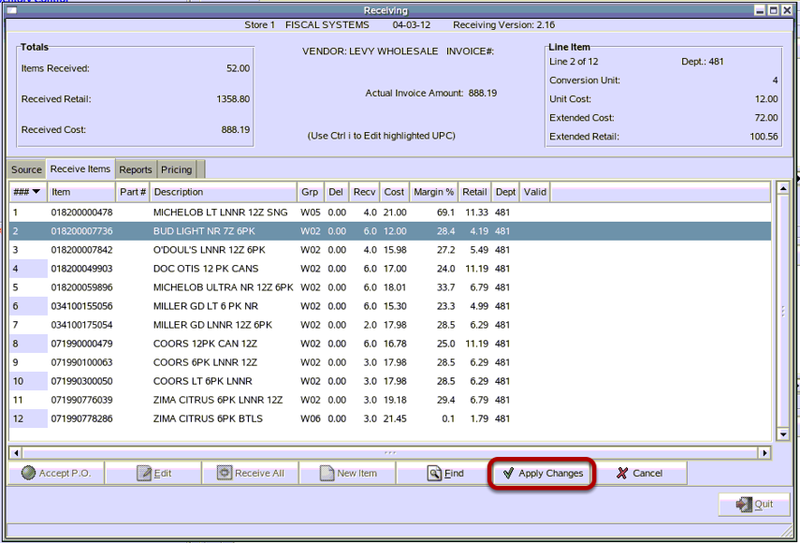 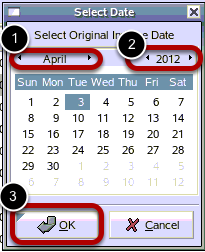 Click on the Vendor name and click "Select Source"
Type in the total dollar amount of your Invoice. 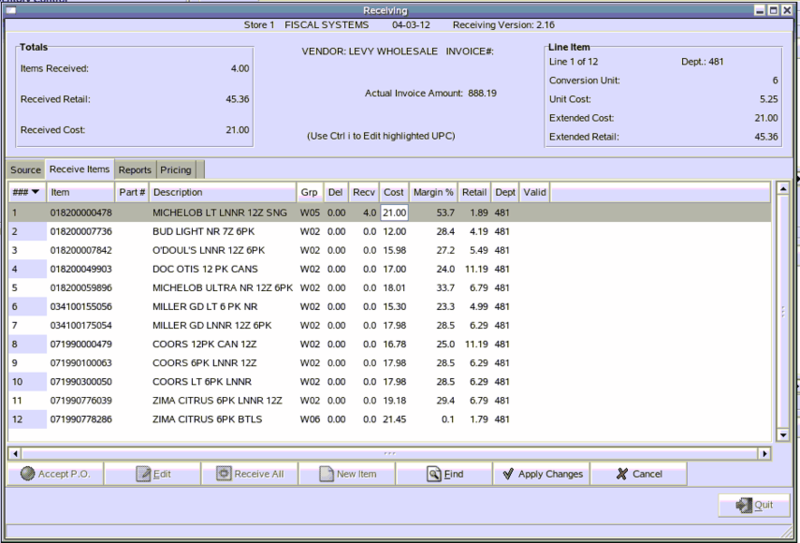 This will be the amount WITHOUT shipping & handling or taxes. 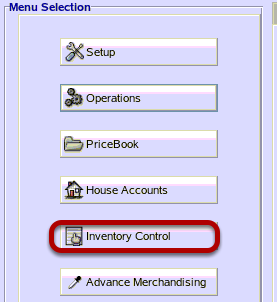 Click on "OK"
Note: This question will not appear unless the checkbox for Post Accounts Payable is selected under the receiving vendor. 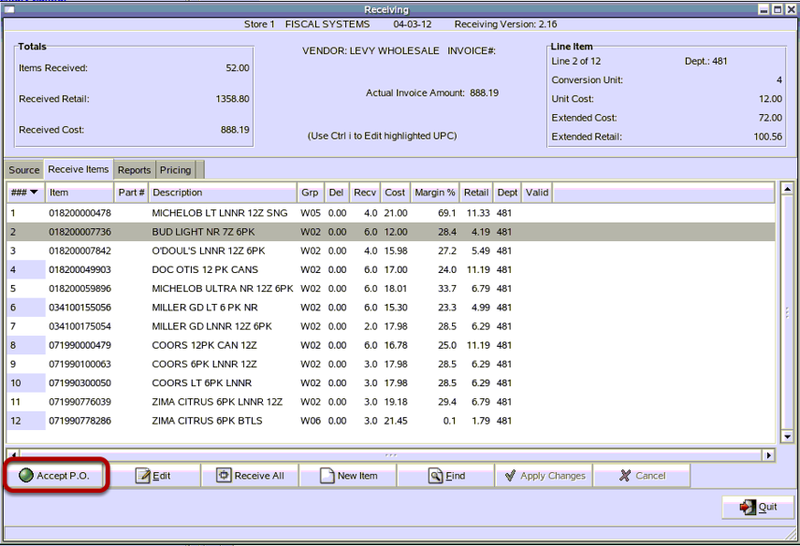 Prev: How Do I Setup a New Vendor? 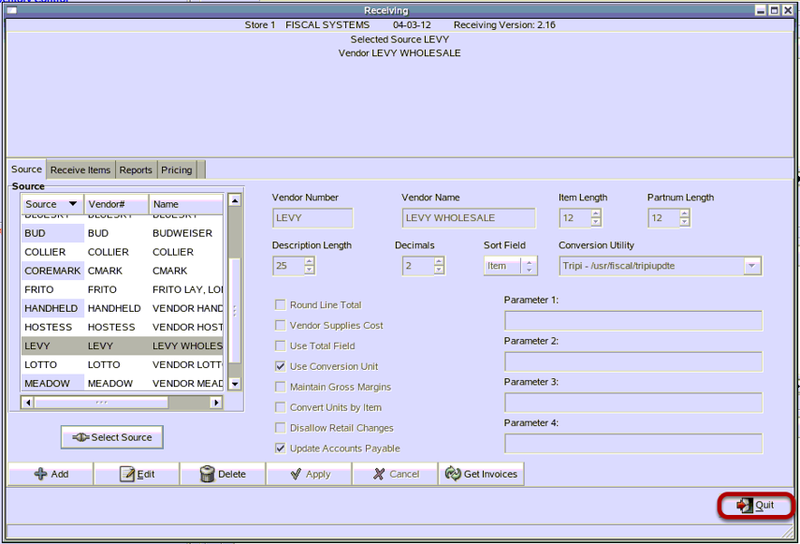 Next: How Do I Receive a Vendor Invoice With a Wireless Handheld Scanner?